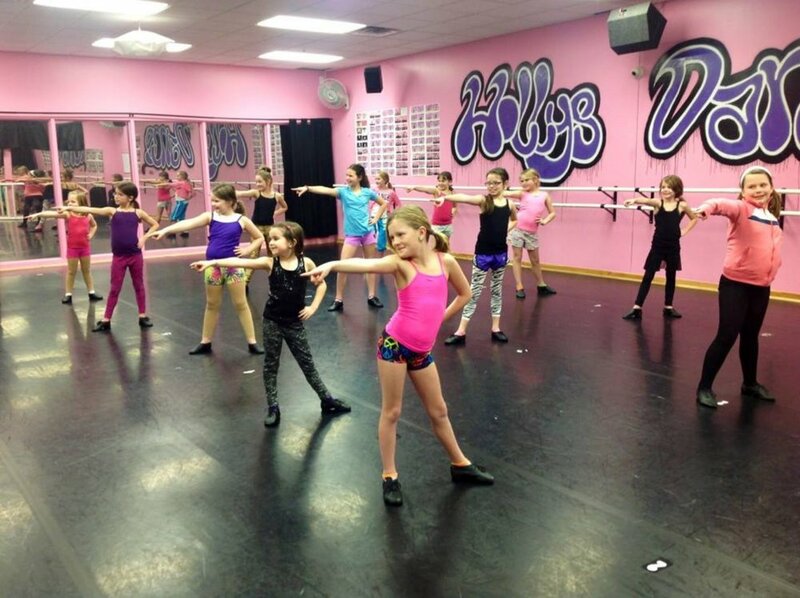 Holly’s Dance is a VERY family oriented dance studio. Our dancers develop strength, flexibility, coordination, creativity, discipline, self-confidence, respect for ones self and others, team work, good sportsmanship and a lifelong love for the performing arts. Our teachers are experts in the dance industry, instructing in a fun and friendly atmosphere. We offer a wide variety of dance and fitness classes in our custom built 12,000sf facility which houses 4 large dance studios, lobby’s and viewing rooms. We have the best Competitive and Recreational (Non-Competitive) programs in town, because of our integrity, organization and commitment to the high standards of the dance industry. Friends and family of students are encouraged to watch our dancers through our very unique one-way wall of windows, “peek-a-boo rooms” at any time.